(Seychelles News Agency) - The only shelter for women of gender-based violence has opened in Seychelles, a hidden refuge against dangerous situations. 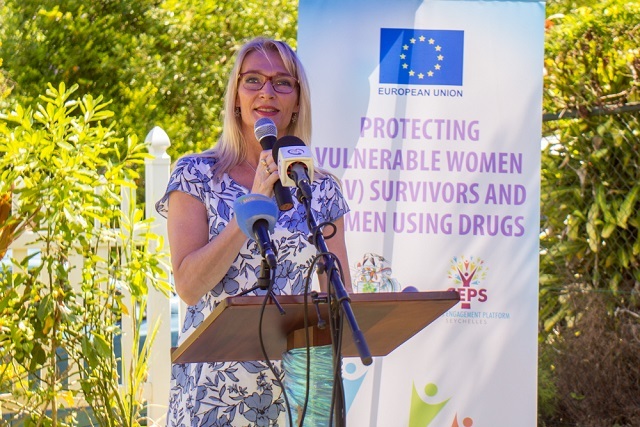 The EU-funded facility, which is run by Citizens Engagement Platform of Seychelles (CEPS), was opened by the Ambassador of the EU to the island nation, Marjaana Sall, the Minister for Family Affairs -- Mitcy Larue -- and the Chair of CEPS, Jude Fred. “Gender equality is a core component of our foreign policy. This is why the European Union is funding activities to protect vulnerable women, including women who have suffered gender-based violence and women using drugs. Today, I am proud that through the EU funding the first ever centre for women victims of violence was inaugurated,” said Sall. The shelter for women is part of a project funded by EU and implemented by CEPS - an umbrella group of civil societies in Seychelles - to improve the quality of life of vulnerable women. The shelter will provide women who have suffered gender-based violence and women using drugs with a safe place and support them in their social integration. The project contributes to the implementation of the Seychelles National Action Plan on Human Rights (2015-2020), and to the achievement of the objectives of the Gender Analysis undertaken with EU support. It is also in line with the EU-Seychelles Human Rights and Democracy Country Strategy. The project will also strengthen the administrative and legislative framework for the protection and integration of vulnerable women, including the finalisation of the Domestic Violence Bill and its adoption by the National Assembly, as well as improve awareness on the rights of women. The chairperson of CEPS, Jude Fred, said that eliminating violence against women must be a common effort and can be a common achievement. “This is an issue that concerns us all, involves us all and requires concerted and urgent action. Achievements for gender equality and women's empowerment will be negated if we allow violence against women to persist,” he said. Fred added that violence against women constitutes the most severe expression of gender-based discrimination and disempowerment of women and girls. 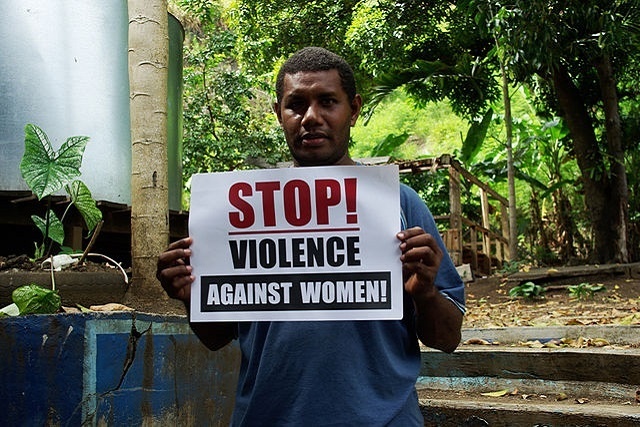 The latest statistics published in December 2016 shows at least 58 percent of women in Seychelles – an archipelago of 115 islands in the western Indian Ocean - experience some sort of violence from an intimate partner in their lifetime. 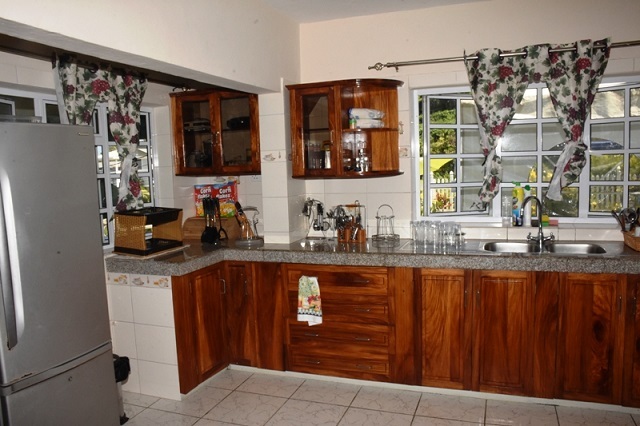 The Minister for Family Affairs, Mitcy Larue, has commended the civil society for the realisation of the shelter. “In this drop-in centre, albeit for a short period of time, the victims will have the opportunity to disconnect from the abuse suffered and start to focus on possible intervention possibilities to help them overcome their situation,“ said Larue. “I, therefore, commit to supporting CEPS in the fruition of this project and wish the project much success as this pilot will be the backdrop against which government will provide ongoing and continued support to ensure that we do not look backwards but forwards in the fight for survivors of gender violence,” concluded the Minister. The centre, located on the main island of Mahe, will be a temporary shelter for women and will also offer medical, counselling as well as legal assistance to women. “It is a house we are renting. The area is secured with security. The shelter will employ counsellors, health officer, shelter manager, security guard as well as a legal advisor,” explained Michel Pierre, the chief executive of CEPS. Pierre said following discussions with President Danny Faure on this issue, the head of state has made a commitment to the cause. A plot of land has been identified where a permanent shelter to cater for abused men, women and children will be constructed when the European Union-funded three-year project ends.